What's Hiding Behind the #Ferns? #Fantasy at it's best. All about #Pixies, #Magic, #Puk-Wud-Jie, #Imps. #Adventure for #Midgrade #readers. WHAT'S HIDING BEHIND THE FERNS? Fantasy author, M. C. Arvanitis will be bringing her out of her hiding place sometime in the summer of 2014, when her third mid-grade Fable, 'PIXIES OF THE FERNS; FERNELLA'S MAGIC' is launched. The tale takes place in the beautiful mountains of Oregon, and tells of the adventure of a young Pixie, Fernella. Fernella is the seventh daughter and seventh children are born with special magics. She must find her magic before her father will give his blessings to her marriage with Freddie. When the humans threaten to develop the Fern Pixie's home near Sandy Waters, Fernella and Freddy take off in his flyer to find a new place to live. The flyer crashes leaving Freddie badly hurt. Fernella gets lost in the wilds of the Mt. Hood foot hills when she goes to find help. There she meets a Puk-Wud-Jie. But what good is he? He knows her magic but leads her to nowhere. Fernella is attacked by the vicious flying Imps and captured by moles. Who will help her escape? How can she find help for Freddy? And above all how will she find her magic? STAY TUNED!!! Puk-Wudjies are mentioned in “The Song Of Hiawatha” – “The Death of Kwasind” by Henry Wadsworth Longfellow, who refers to them as misievous pukwudjies, 9fairies, pygmies, little people. 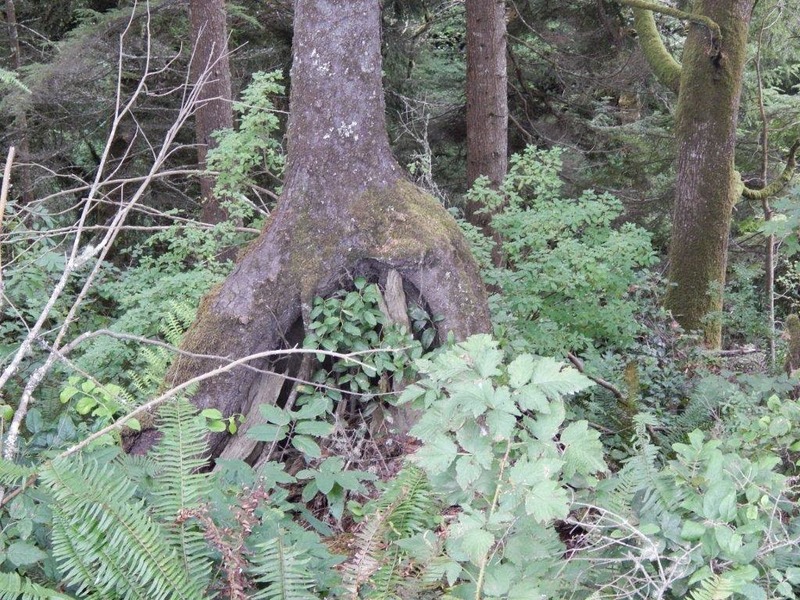 In the north eastern part of the United States there’s a legend of some tribes of nature folks called the pukwudgies. The legends are from the Native American Tribe the Wampanoag and of the Delaware Indians. Interestingly, the Wampanoag are the tribe that celebrated the first Thanksgiving with the Pilgrims. Who's to say that these little people didn't migrate across the US to the Northwest .. where the mountains are plentiful and the last of the shape shifting pukwudgies can live in peace? Read Ms Arvanitis's much reviewed books, especially written for mid-grade readers. Ms. Arvanitis is a graduate of the Institute of Children's Literature and a member of the Society of Children's Book Writers. Her occupation as a preK and early grades teacher gives her insight into the stories children like to read. 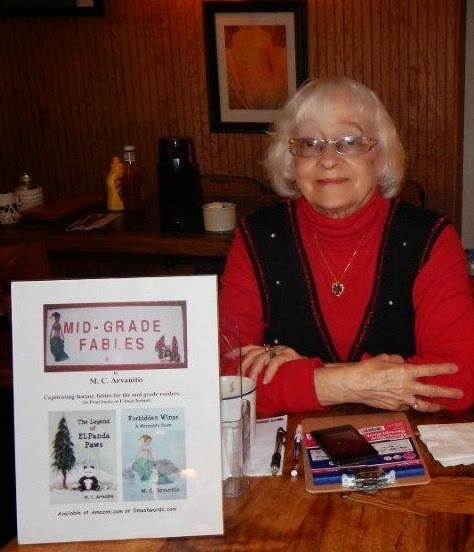 Now retired, she writes mid grade readers books she calls "fables." She brings mythical creatures such as fairies, elves, mermaids, pixies, and other strange beings to her stories. She now offers her first two 'fables' for Mid graders. "THE LEGEND OF ELPANDA PAWS," and "FORBIDDEN WINGS, A MERMAID'S STORY" in both as e-books and in print books.